Da-Lite Tripod Screen Carrying Case - for Da-Lite 50" Portable Projection Screens. 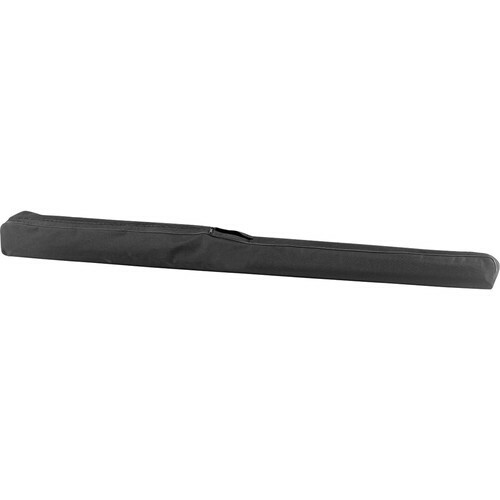 The Da-Lite 40940 Tripod Screen Carrying Case is a black nylon zippered carrying case for Da-Lite 50x50" tripod projection screens. Box Dimensions (LxWxH) 15.0 x 9.0 x 2.7"
40940 50" Tripod Screen Case . is rated 4.8 out of 5 by 5. Rated 5 out of 5 by Anonymous from Perfect case The Da-lite screen case is perfect. It's a great fit, feels like it is constructed of sturdy materials, and most importantly, has an opening where the Da-lite screen 's handle pokes through, providing a convenient way to carry the screen once it is secured inside of its case. Very well thought out design. Rated 5 out of 5 by mgb4ever from This does the job! Just what I expected--a durable easy to slip on carrying case with plenty of room for extras you may need for presentations (extension cords, easels, etc. Zipper stops short and leaves an opening for the built in handle on the screen, which is the best way to carry it. Rated 5 out of 5 by Mike A from easy to use and good construction Using this for moving screen to trade shows and small meetings. Rated 5 out of 5 by Paula from Great Case Need carrying case. What is the external length of this bag, My screen is 56 long folded with the tripod, I want to be sure it fits. Asked by: Ider H. O. Answered by: Ider H. O.